Electric car registrations in Europe have reached a new record. After the strong growth posted in 2017, the volume increased by 47% in 2018, jumping from 132,800 units in 2017 to a new record of 195,200 last year. The positive results coincided with the overall stalling of the European car market, as a result of Brexit and WLTP. Despite this, consumers continued to join the zero-emissions trend. The growth can be partly explained by the wider range of choices, better prices and greater awareness amongst consumers. Last year, three new models were launched and three more were presented and are due to hit the market this year. 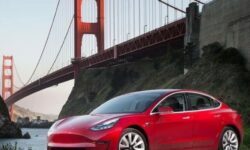 The offer was also improved thanks to the arrival of the second-generation Nissan Leaf, which was able to outsell the Renault Zoe, becoming Europe’s top-selling EV. 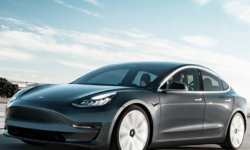 Despite the increasing quantity of models available, consumers in Europe are still fairly limited when looking for a purely electric passenger car. 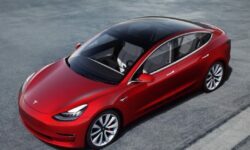 In 2018, there were only 25 different models that registered more than 10 units throughout the year. In contrast, there were 338 different models in the whole market. This is even more striking when looking at the composition of the EV offer: there are only 5 SUVs available. Norway is the largest and the fastest growing EV market in Europe. 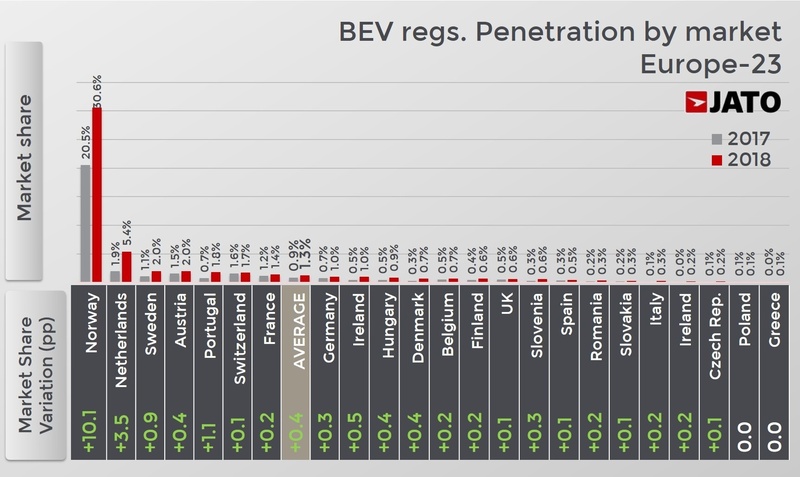 EVs counted for almost 31% of total registrations last year, making it the market with the highest EV infiltration in the world. Almost one in four of the EVs sold in Europe last year remained in Norway, and the country’s best-selling model was the Nissan Leaf. 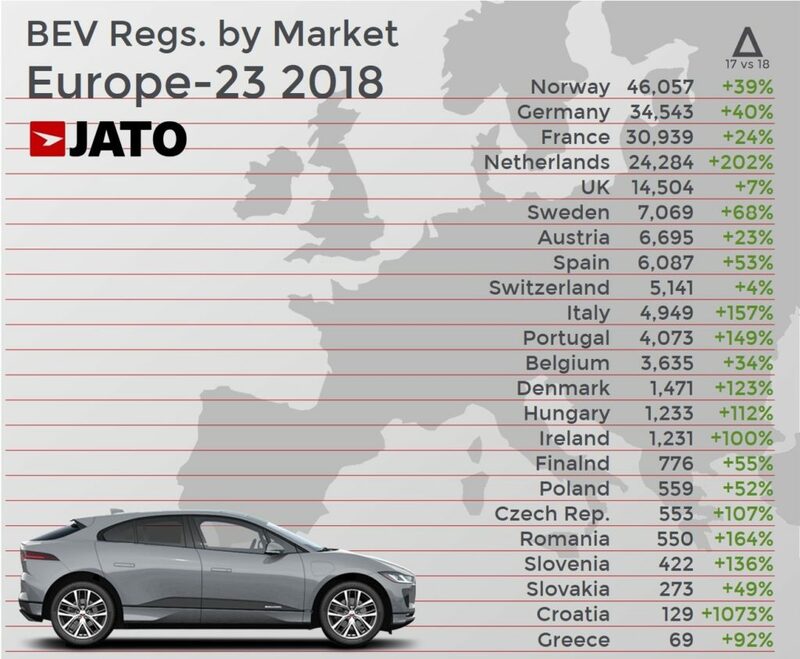 There was also noticeable progress for EVs in the Netherlands, where strong growth (+202%) allowed the country to climb one position in the rankings, outselling the UK and becoming the fourth largest market in Europe by volume. 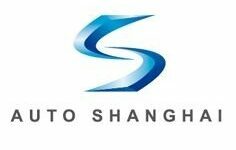 It is the second largest by market penetration with 5 in 100 car registrations for purely electric vehicles. Portugal and Sweden also saw strong growth, with the demand soaring by 149% and 68% respectively. Portugal also managed to outsell Belgium. 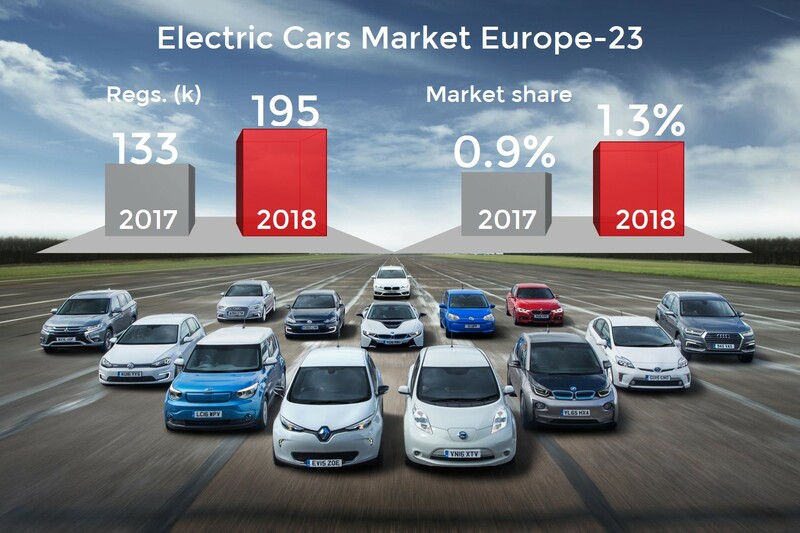 Despite the growth, pure electric cars are still a rare sight in some of the biggest markets in Europe. In Italy, they only counted for 0.26% of total registrations as most of the population continued to purchase diesel cars. Spain is the second largest vehicle producer in Europe, yet electric cars are still unpopular. In fact, EVs represent the biggest challenge for the Spanish car industry, prompting the question: will production shift from traditional cars to new technologies? The Nissan Leaf was the best-selling EV in Europe-23 in 2018. Its sales were boosted by the launch of the second generation, which allowed this model to outsell the Renault Zoe by 623 units. 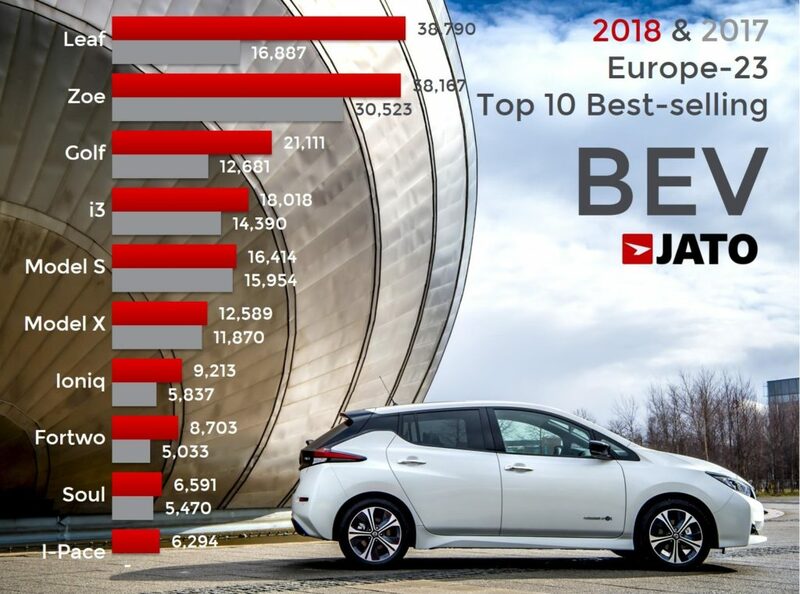 Unlike the Zoe, which is highly dependent on the French car market, the Leaf posted increasing sales volume in many countries and was the top-selling model in Norway. It was also Nissan’s 5th best-selling model in Europe. The third-place position has also changed and is no longer occupied by the Tesla Model S, but by the Volkswagen e-Golf, boosted by the demand in the UK (+976%), Netherlands (+139%) and Germany (+91%). 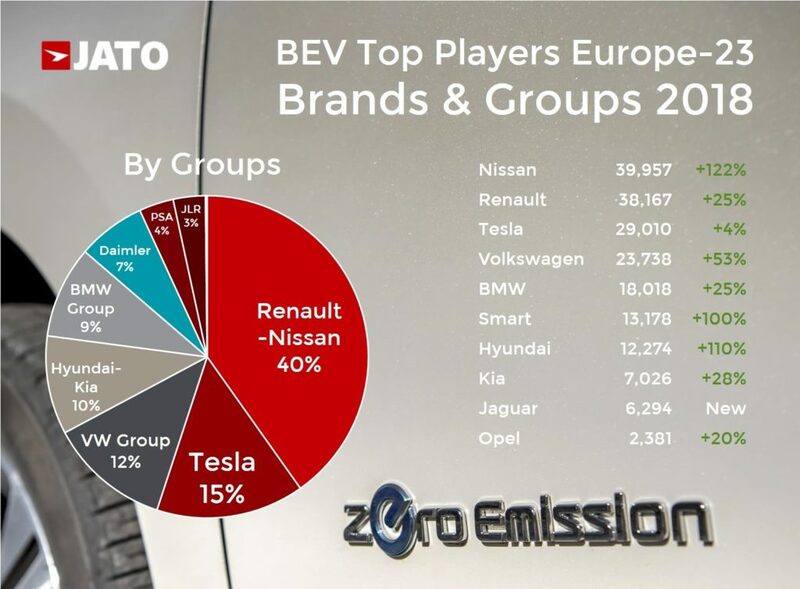 This growth contrasts with the small penetration within the Golf total registrations: from the 441,600 units registered in Europe-23, only 21,100, or 4.8% of the total, were powered by an electric engine. Overall, despite some interesting growth, the penetration of electric cars is still relatively timid. The sum of total registrations of the three best-selling EVs is still lower than the total sales of the hybrid version of the Yaris: Europe’s top selling AFV, with more than 163,000 units.